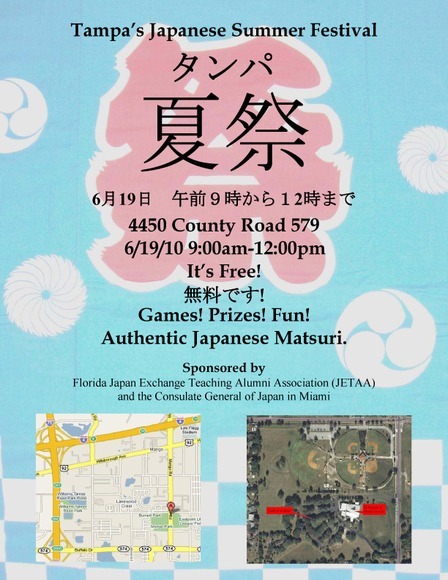 The Florida Jet Alumni Association (JETAA) and Consulate General of Japan are hosting their annual Japanese summer festival called Natsu (Summer) Matsuri (Festival) on June 19, 2010 from 9am to 12pm. They will have all kinds of booths with games, prizes, and fun. The Japanese Club at USF is promoting the event and would love to see you there!